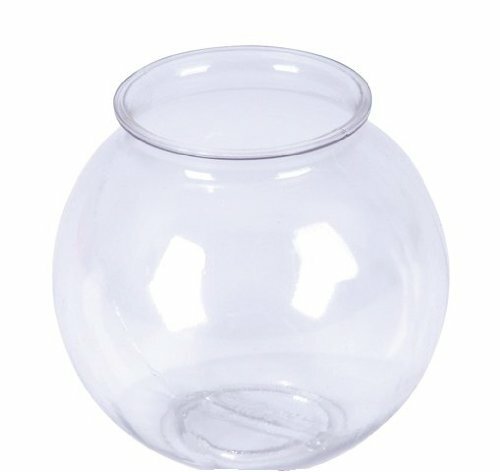 4 inch diameter by 4 inch tall size. 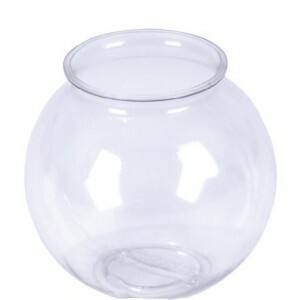 Clear plastic bowl with 2.5” top opening. 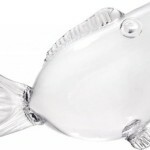 Commonly used with ping pong balls to either win goldfish or use egg dye of various colors to designate a variety of prizes. 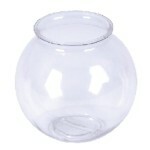 Also great for craft projects, can be painted and decorated. 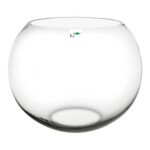 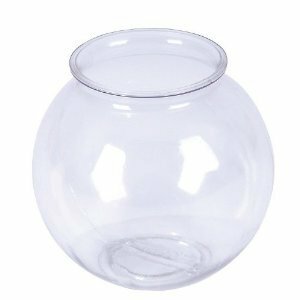 Nature’s Pure Glass Aquarium Sphere 12″ Dia x 10″ Height, 2.75 Gallons.